So the FCC could be court ordered to finally resolve the Special Access Reform issue that has been unresolved since 2002! Special access are the circuits that CLEC's purchase straight from the tariff - basically at retail pricing. With so many circuits no longer in the tariff (see AT&T on Metro ethernet and many other services), CLEC and other service providers have to pay more for access than if they bought a bundled service. For example, 10 MB of Metro ethernet transport is now $1270 on a 3 year contract when it was $684 before August 1, 2011; yet a 10MB EaMIS (Internet access via metro ethernet) is under $1000 on a 3 year term. There's a lesson to be learned from Blockbuster. Blockbuster was the last standing national chain of video rental shops. It was purchased by DISH Network out of bankruptcy. Blockbuster was an example of a company that couldn't keep up with changes in its sector - and let rivals dictate the playing field. At the CPExpo last night I was a panelist for the CPZ, an experiment in doing a talk show at the expo. It was 100 invitees, an open bar and 5 panelists in front of the camera - Khali Henderson, Dave Stewart of Simple Signal, Larry Walsh of the 2112 Group, John Siefert (CEO of Virgo), and me. It turns out that Siefert is a VAR (?) or works with VARs, so it was 3 cloud guys and me. We started with the theme of the show: Is this the end of Transactional Agents? The truth is that while the runway may appear to be running out, telecom is mainly an arbitrage business made up of me-too providers, who will extend that runway for a while longer. Take the case that Bells no longer pay commissions on POTS lines. The PSTN - America's phone network - is broken. There are two main issues that bring me to say that telecom is broken: number porting and call termination. I hear complaints from VoIP Providers (and smaller CLEC's) all the time how they cannot port numbers. In some cases both VoIP Providers use a CLEC for LNP, but it is different CLEC's. Are They Reading from the Same Playbook? Are Windstream and CenturyLink reading from the same script? CenturyTel built up a wireline base from Embarq, Verizon (2001-2002), and Madison River. In 2003 to 2005, C-Tel bought fiber networks - Digital Teleport (which became LightCore), MFON and KMC. Then in 2010 announced it was buying Qwest - federal government contracts, fiber, international, data centers and more wireline. The party might be over at the PAETEC, as they announced today an $891M stock only sale to WINDSTREAM. USLEC, AllWorx, CavTel, McLeodUSA, Quagga, Xeta, US Energy Partners - all acquired by PAETEC to create a billion dollar CLEC. As if hitting the billion dollar mark was meaningful. Intermedia was the first billion dollar CLEC and HAD to sell itslef to MCI, as short-term debt became due. One reason that the ILEC's have been frustrated with CLEC's and spend so much effort frustrating their orders is due to the Lack of Value that the CLEC's -- in general -- bring to the market place. Resellers, Rebillers, switchless, UNE-P, and the like add nothing to the ecosystem, except lower rates. And this has been the case before the Telecom Act of 1996. Along comes VoIP and what's the first thing the Industry decides: Hey! Let's sell it for less than TDM! SIP trunking, same thing. Two weeks. It took 2 weeks for a CLEC to tell me that they would no-bid a quote for RCF. Three phone conversations where I spelled out plainly that the customer wanted two POTS lines (analog phone lines) and RCF (remote call forward service - basically a phone number on the switch that forwards to another number.) Seems simple enough, right? Nope. Tampa-based Telovations acquires North Carolina based FeatureTel, combining two Broadsoft providers. No financial details were released. Could this be a sign about the viability of the US Hosted PBX space? 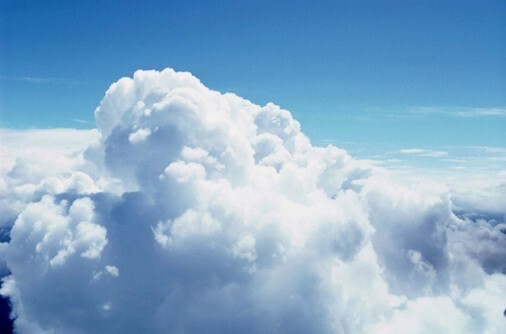 Many of the Cloud Comm companies haven't grown as fast as their backers would like.